The success of Starbucks is one of the most remarkable business stories in decades. Since 1987, the coffee merchant has grown from a single retail store on Seattle's waterfront to a company with more than 1,000 stores nationwide and a new one opening somewhere every business day. According to Fortune magazine, Starbucks "has changed everything...from our tastes to our language to the face of Main Street." I would have rather had the full book. 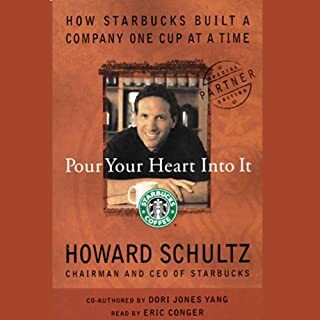 This version skips many interesting stories and events that occurred during the beginning stages of Starbucks.